What's happening outside the gallery. Maasmechelen Village proudly presents the multi-sensory art installation of the Brussels studio KRJST. The Village will be transformed to KRJST's vision of a magical garden until the end of December, led by Erika Schillebeeckx and Justine de Moriamé, both graduated from La Cambre. The monumental wall installations and sculptures are the biggest realization of KRJST so far and invite guests to a journey of discovery as well as contemplation throughout the village. The fabrics move along with the wind and reflect the light throughout the day, allowing us to enjoy the lush fabrics and the special color palette on top. Geometric sculptures provide intrigue and invite further discovery. KRJST's designs follow a range of physical design to digital, and from a digitized design eventually to a physical art installation. Their multidisciplinary approach is a combination of traditional and modern techniques, of craftsmanship and technology. 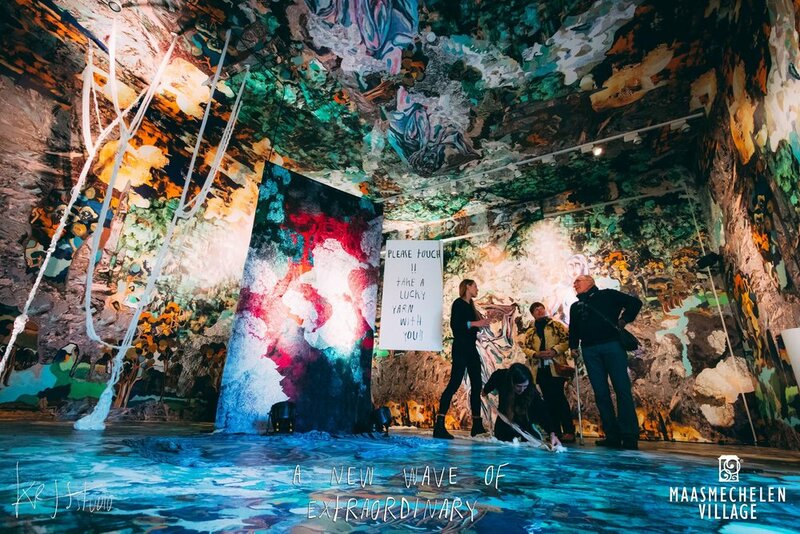 'A New Wave of Extraordinary' is a gathering of art, design, reality and fantasy. With the endless imagination of the ladies of KRJST, Maasmechelen Village is not foolish to transform into a magical garden. They will never waste a good story on the truth. In October 2017, we are proud to see KRJST Studio invited to Art Élysées by Jean-François Declercq (Atelier Jespers) who presents a selection of Belgian designers from several different generations. 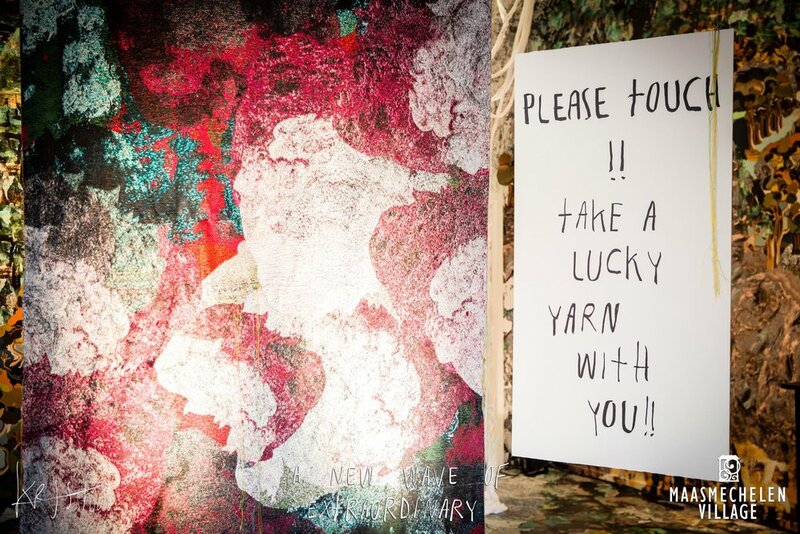 This “off-site” exhibition formed the first part of his new “itinerancy” project. The event is thus the moment for Jean-François Declercq to present the richness of Belgian design creativity from several decades. This is not industrial design on a global scale but careful, personal creations that border on contemporary art and show the manual and intellectual craftsmanship of several generations of Belgian designers.Some of them, such as Vladimir Slavov (lighting), Ben Storms (furniture), Casimir (furniture) and Gerard Kuijpers (furniture -sculpture) have previously been shown at the Atelier Jespers. are being presented for the first time in a staging that reveals the singularity their creations and thus contributes to the recognition of their work. Avenue des Champs- Elysées, 75008, Paris.